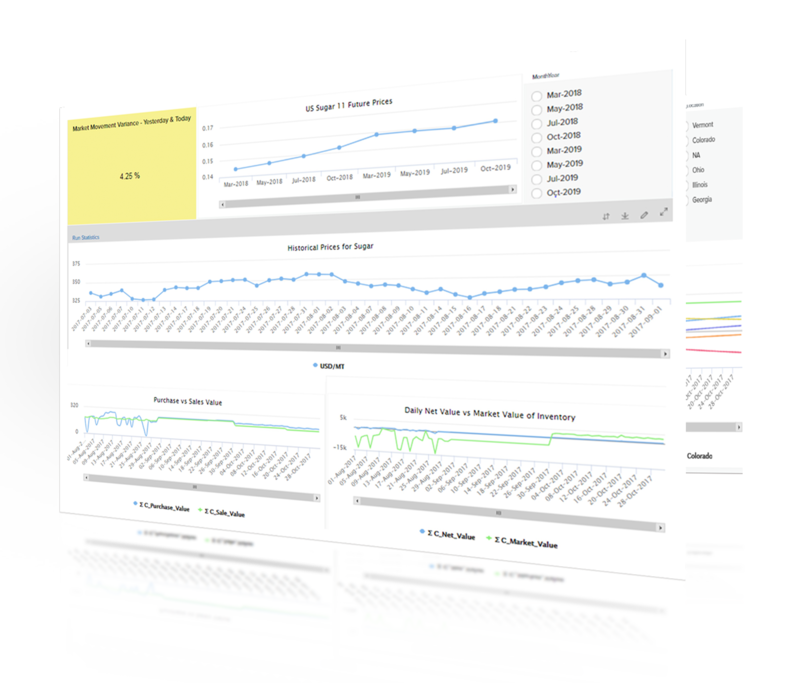 Improve forward planning with visibility into projected inventory and plant utilization across the business. 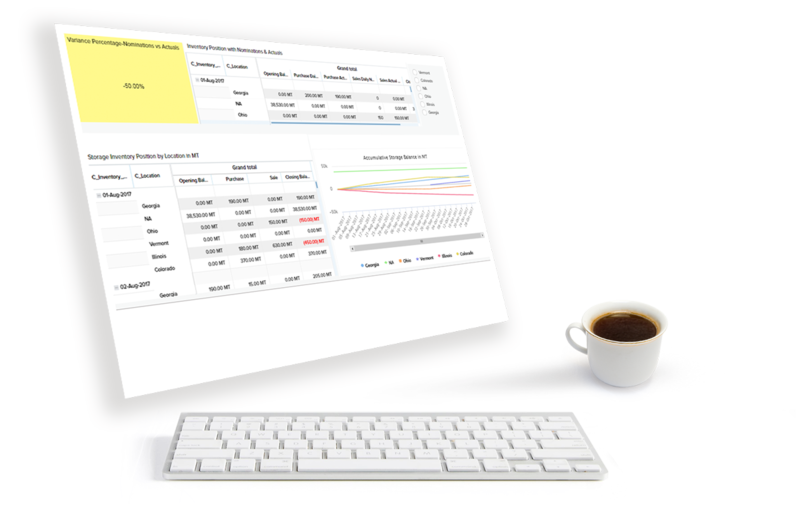 Evaluate inventory by region and product and analyze cost of goods versus market prices for better buying and selling decisions. Allow traders and logistic managers to view projected and forward-looking inventory on a daily basis using long and short positions. 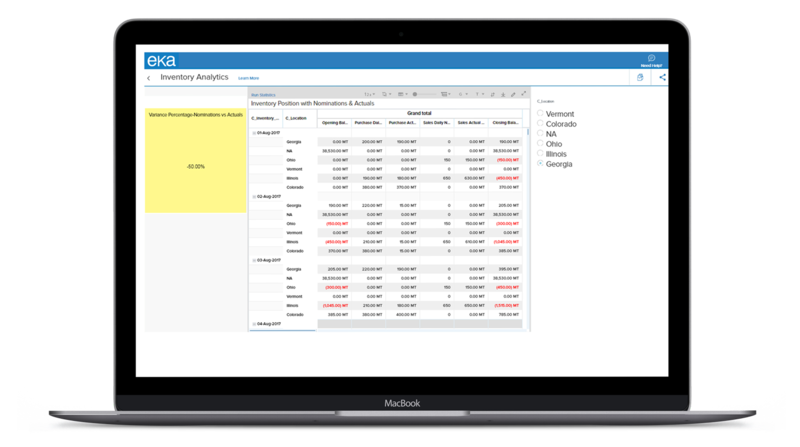 Analyze inventory COGS VS market prices and make better trading decisions by spotting opportunities to buy, spot, sell, or to hold inventory. Improve delivery management with enhanced inventory tracking. Track planned vs actual delivery by date. View estimated deliveries based on past projections. 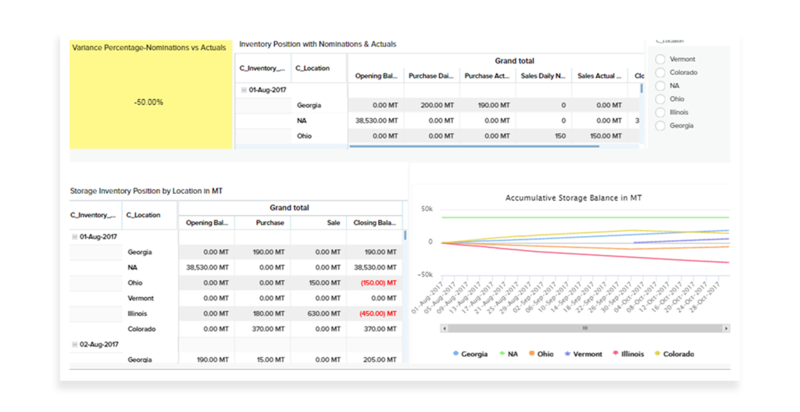 Evaluate inventory by region and product to view the most profitable inventory locations and grades.